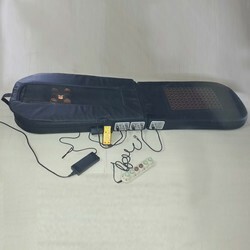 We are offering Fully Automatic Thermal Massage Bed to our client. • Overall Height - Top to Bottom - Min: 24.02"
• Overall Height - Top to Bottom - Max: 33.07"
PU mattress, stainless steel frame, Sturdy, adjustable mattress from head side, Measurement -24"x72", Height 30"
Chandan massage table & bed can be used as a facial or massage bed in a salon or spa. It comes with adjustable height feature, adjustabl headrest and detachable armrests. The backrest can be inclined on various positions during facial treatment and has plenty of open space underneath for storing spa cosmetics and towels. 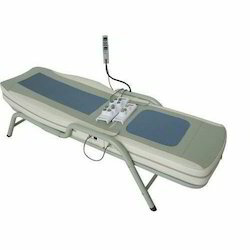 It is very strongly build spa massage bed & table. The length of the spine varies in different people, just like their height.The RoboTouch Thermal Massage Bed scans the spine of each user and uses that information to offer an unprecedented, personalized thermal massage experience.